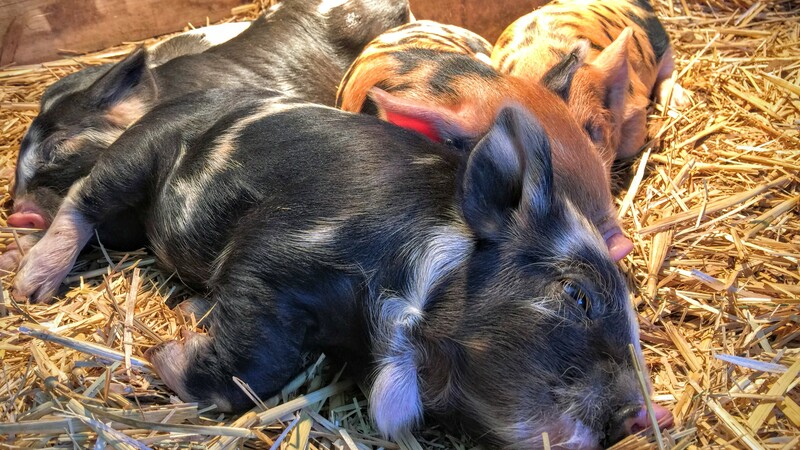 Maybelline and Pavarotti have been living together quite affectionately for a while now, and we have reason to expect a litter in the spring — most likely in April 2017. 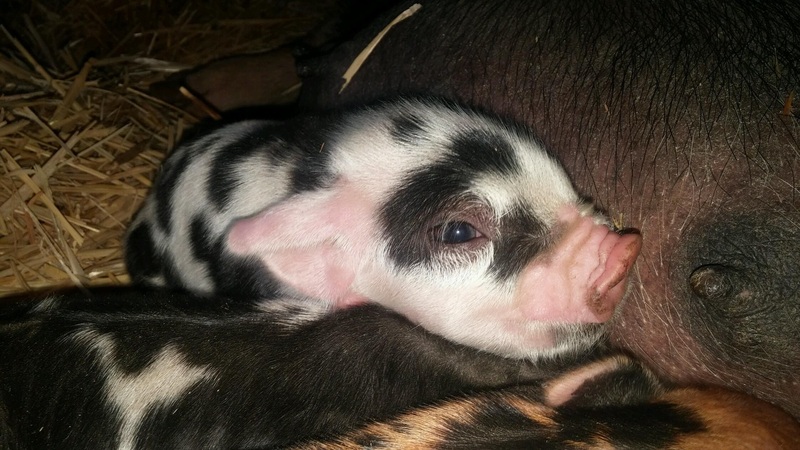 We are accepting deposits ($100). 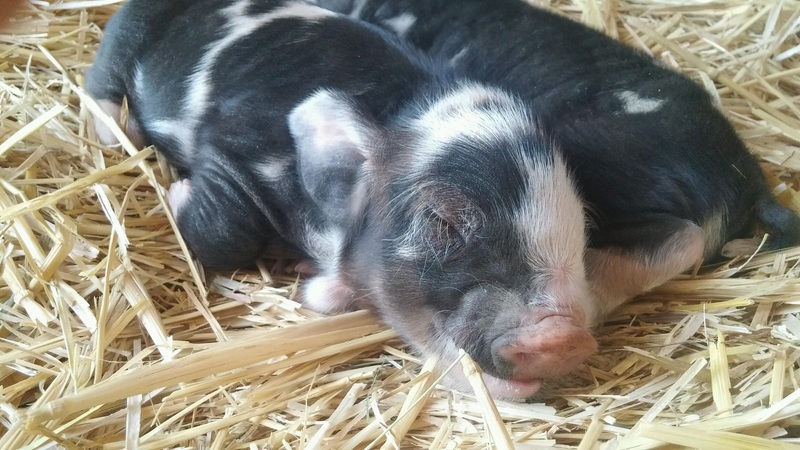 Piglets are $1200 each. 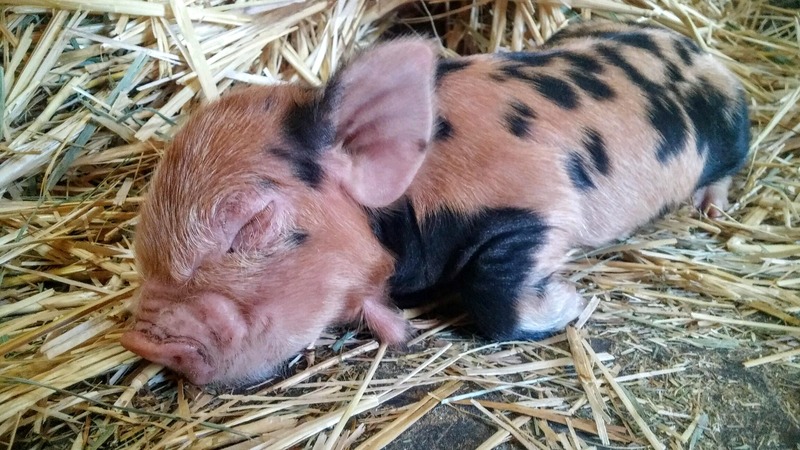 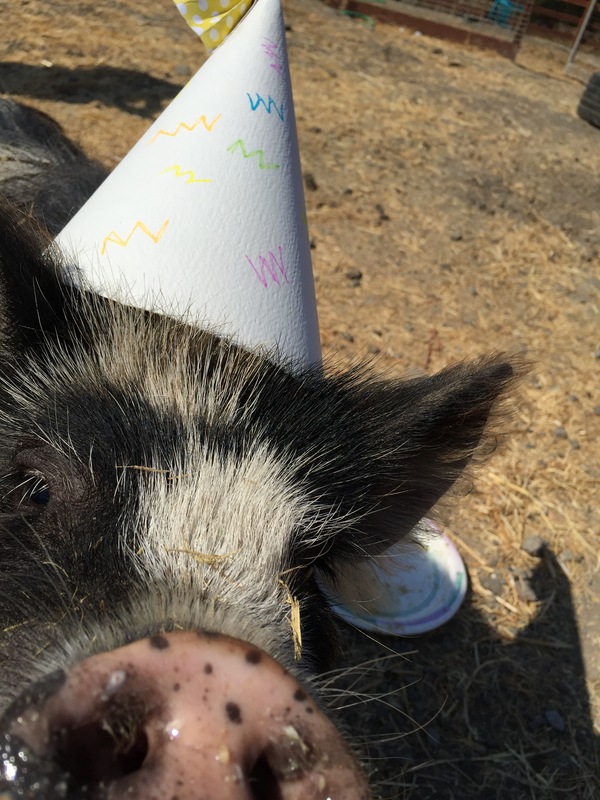 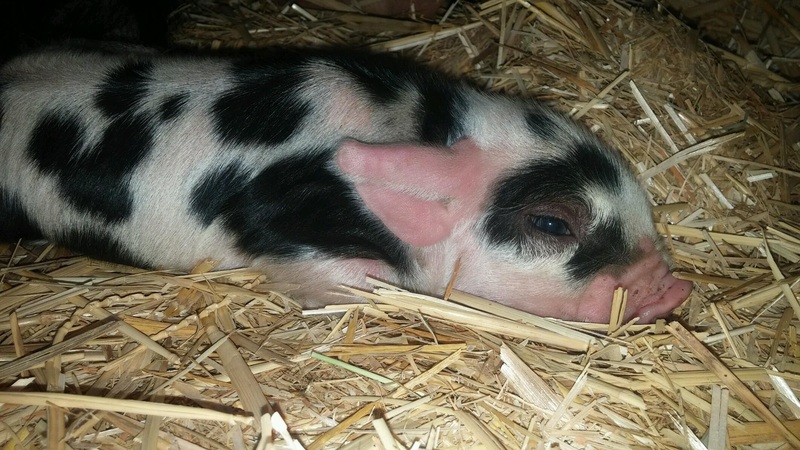 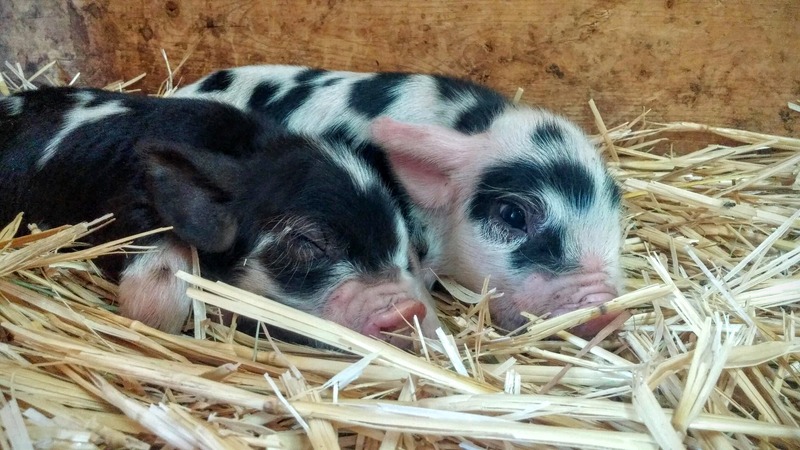 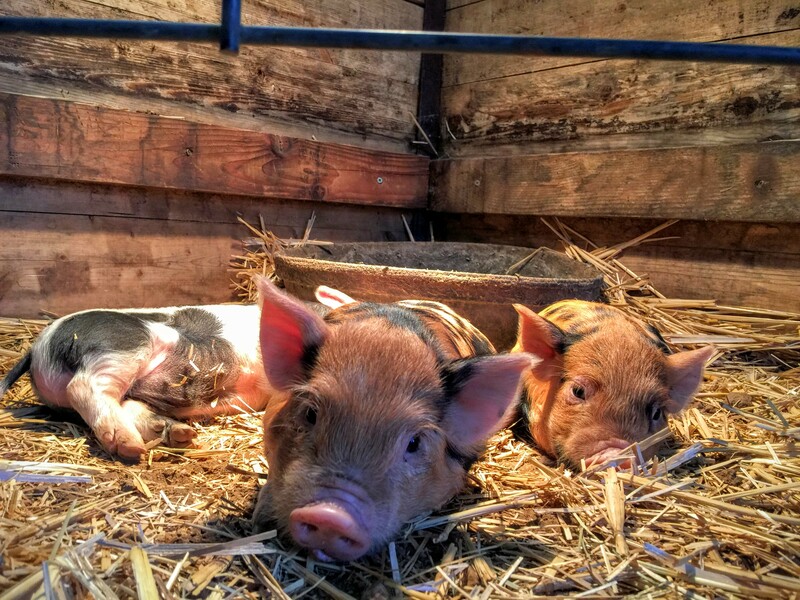 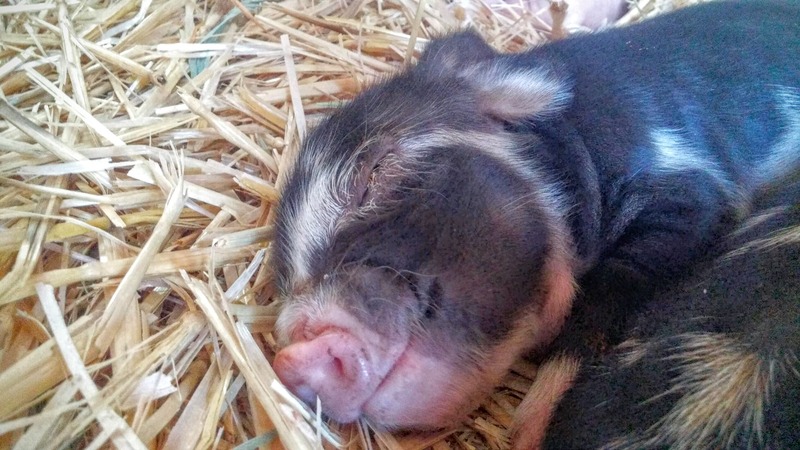 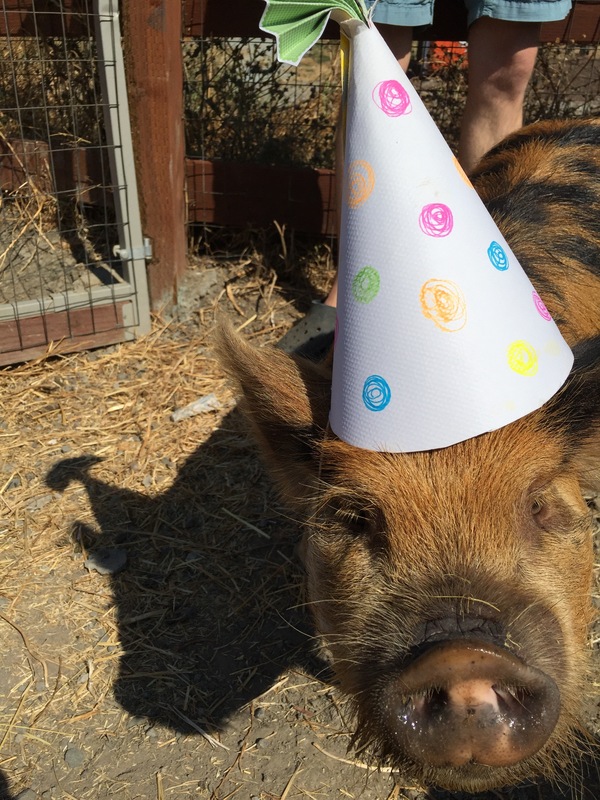 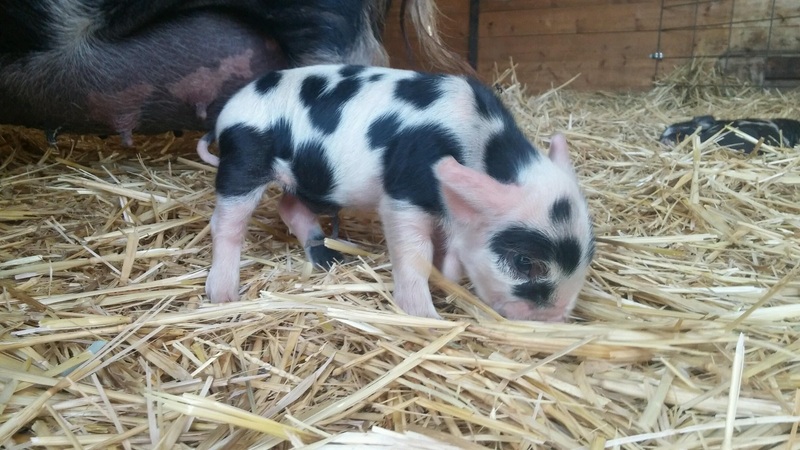 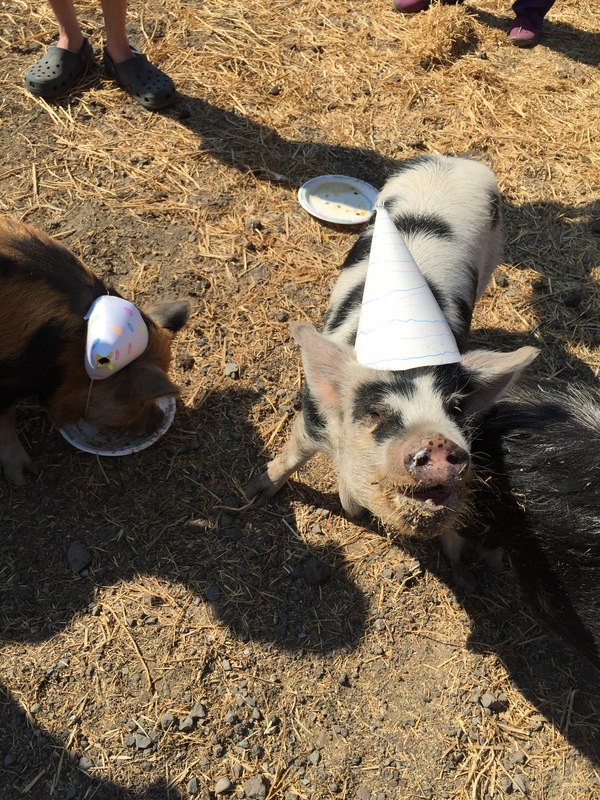 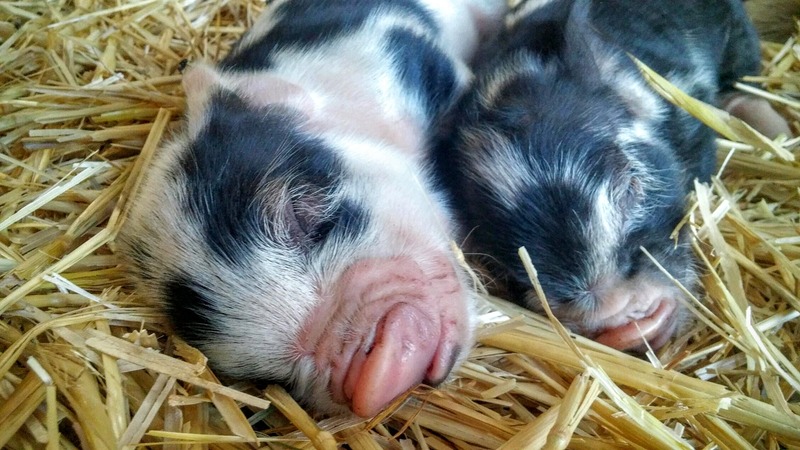 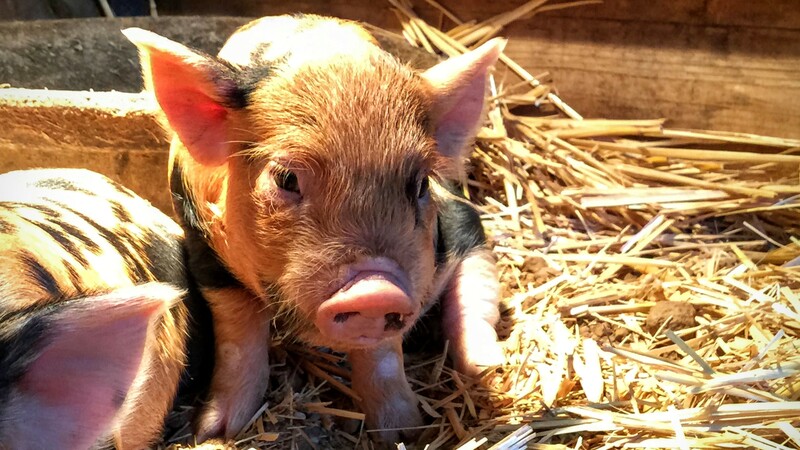 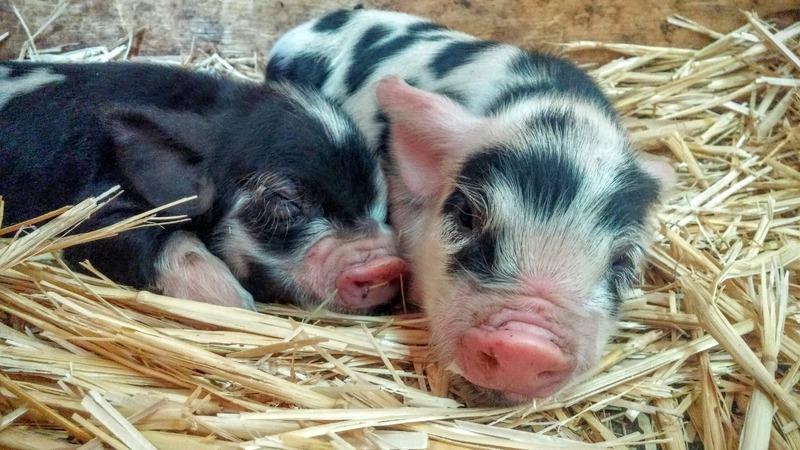 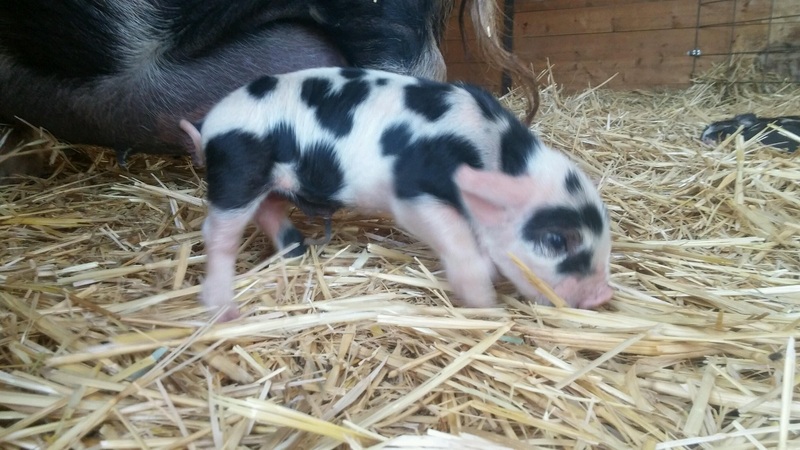 Please email us at murphy-erin@comcast.net or call 530-559-1602 to reserve your piglet! 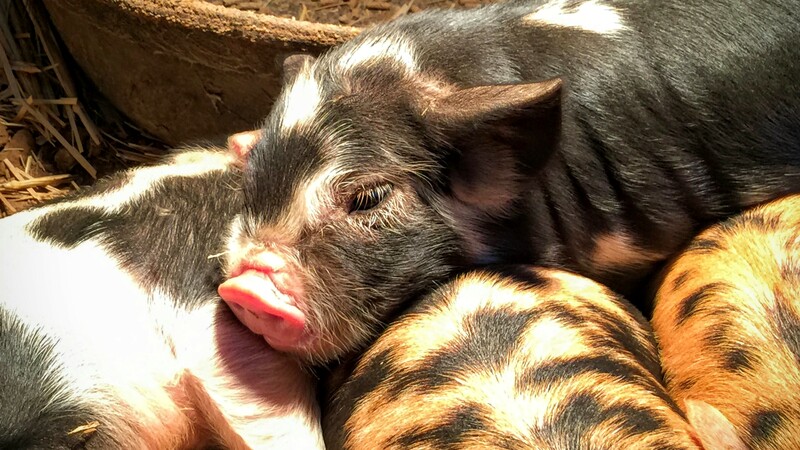 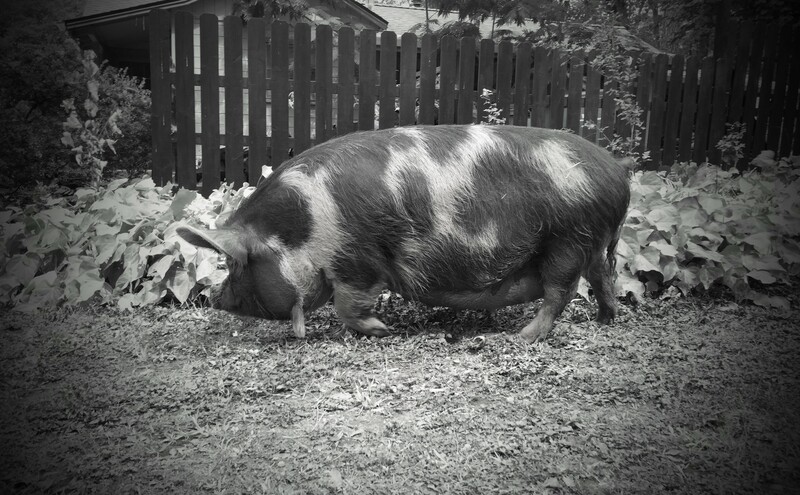 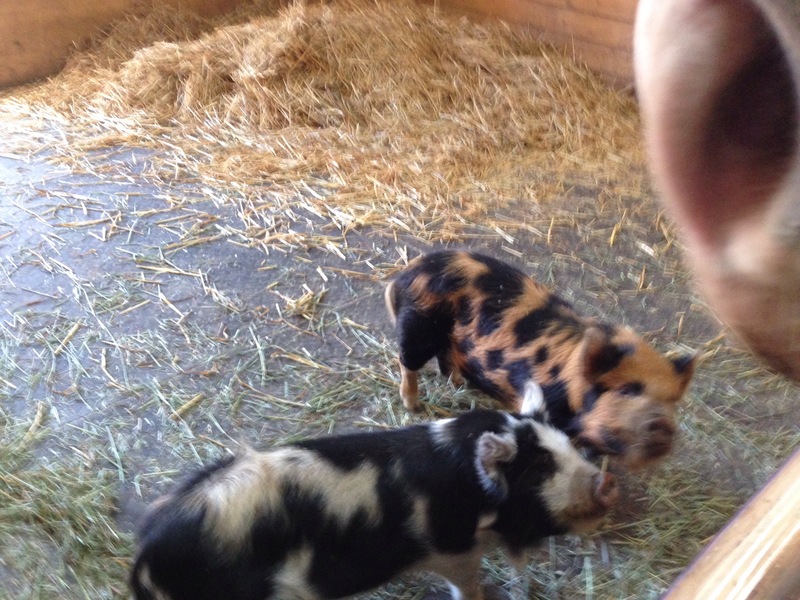 Our Kunekune pigs are registered Jenny line (females) and Andrew line (males). 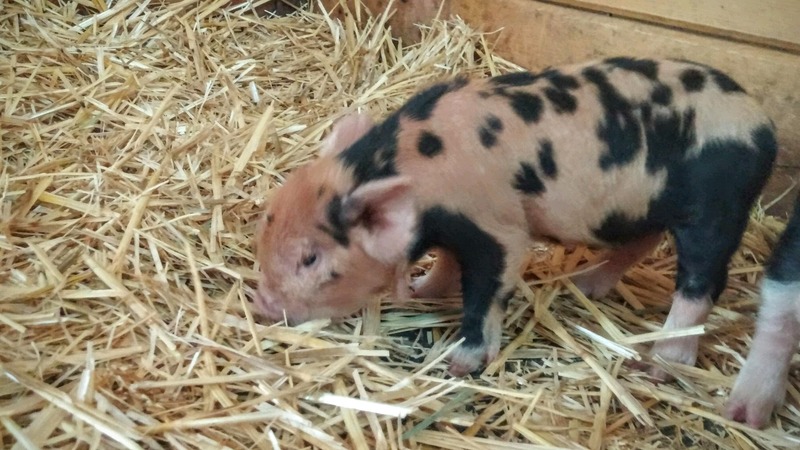 We also have one gilt available, Daisy, born July 3, 2014. 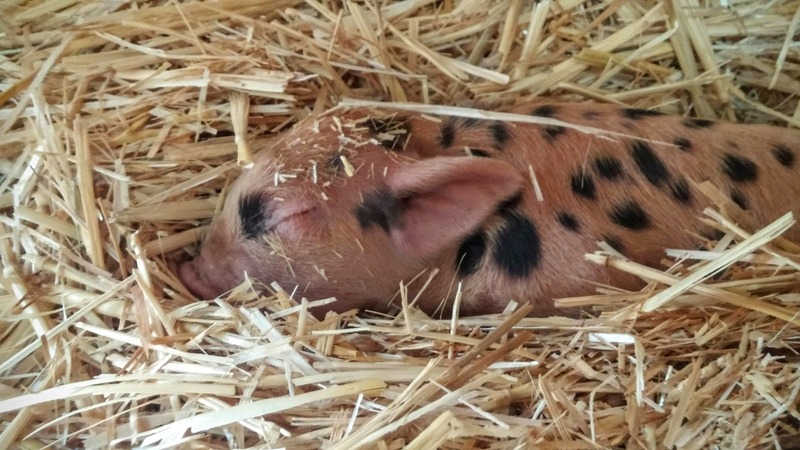 See Daisy’s page for more information. 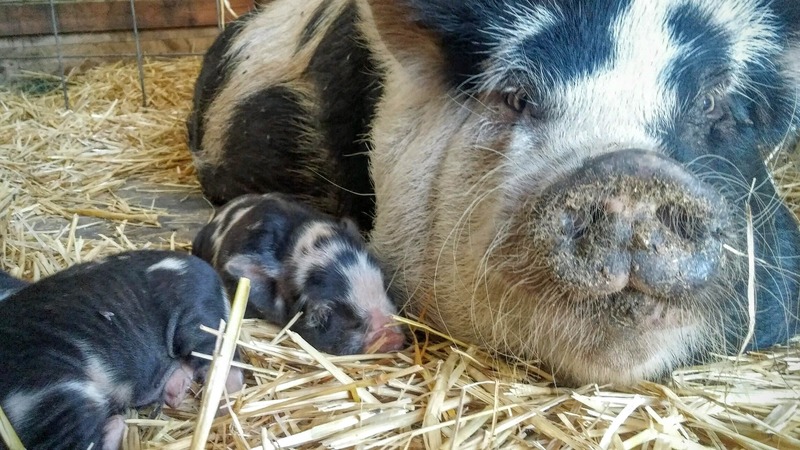 We are expecting our next litter in March 2017, to go home with new families in May or June 2017. 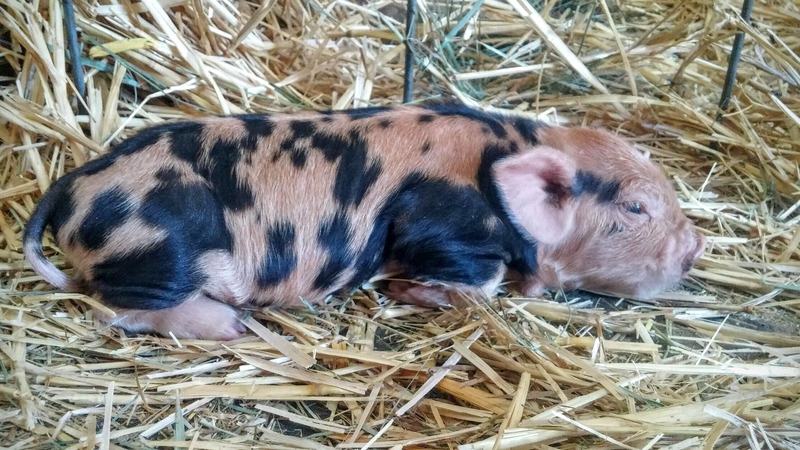 Piglet price is $1200. 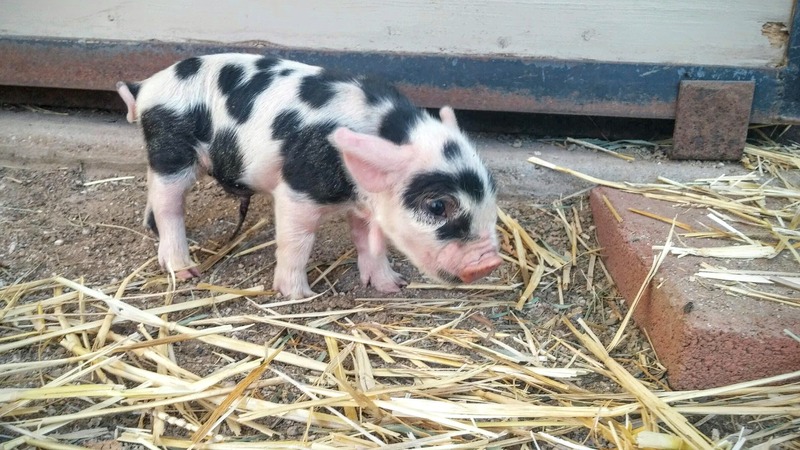 Deposit is $100. 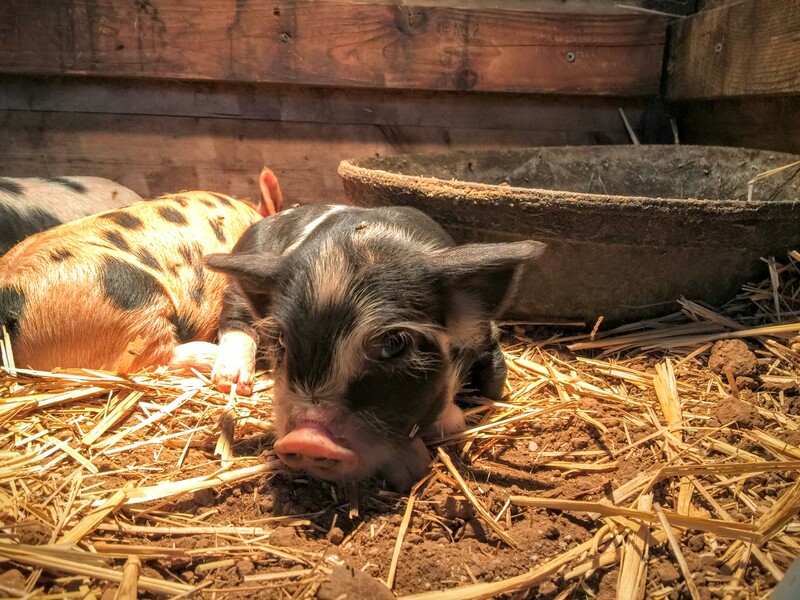 Contact Erin at 530-559-1602 or murphy-erin@comcast.net to reserve your piglet! 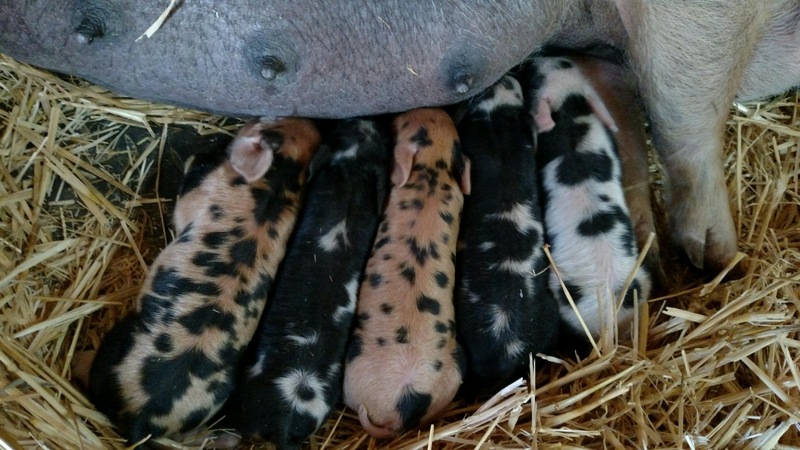 Check out our previous litters on our Videos page and in the Photo Gallery. 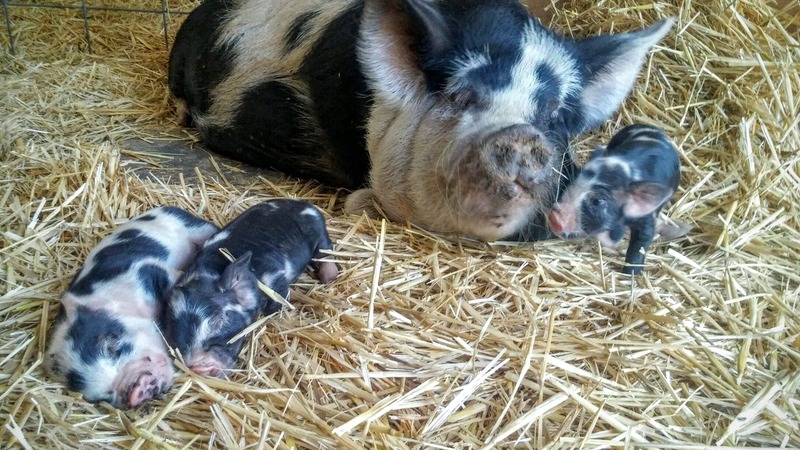 Maybelline had her piglets in the wee hours of the morning on Sunday, September 6th. 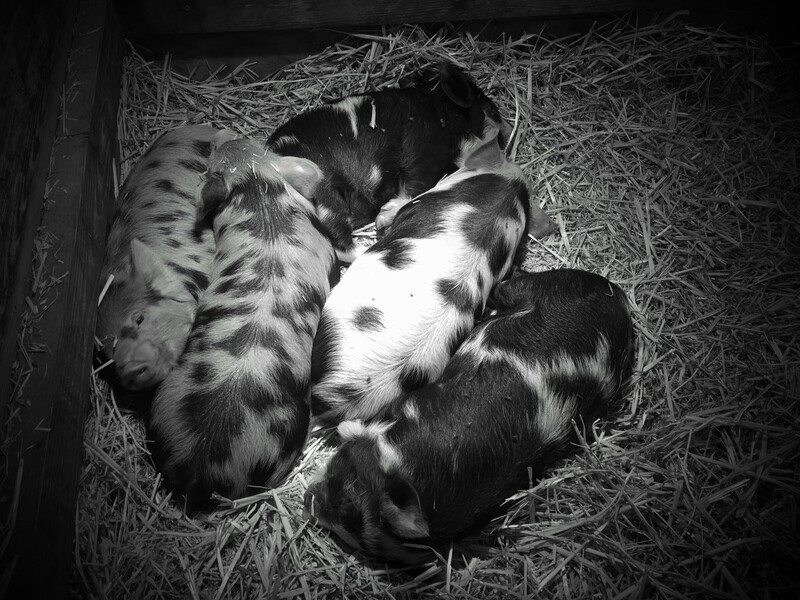 The three boys are black and white like their mama and the two girls are ginger and black like their dad. 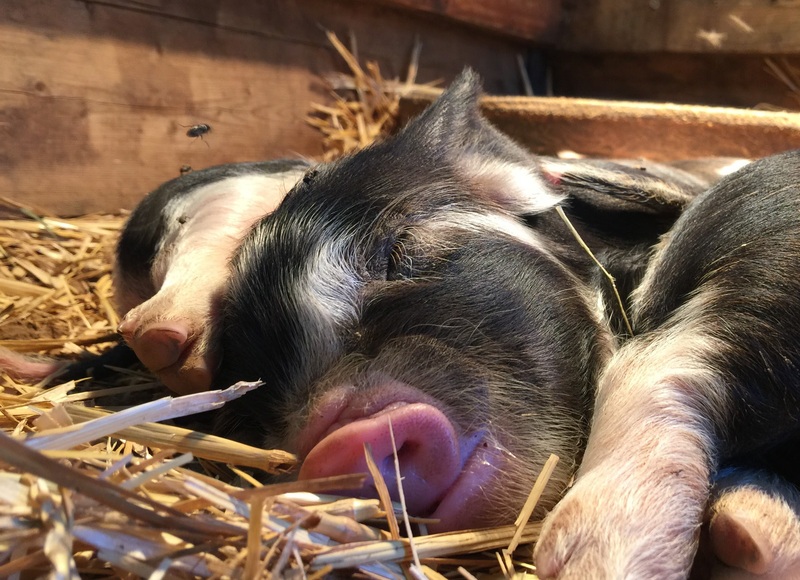 We will be creating pages for each of them, but for now, here are some photos from their first 48 hours. 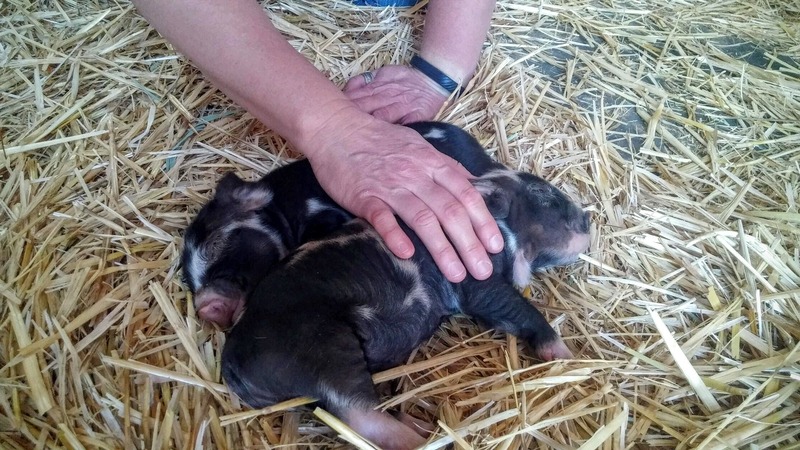 Daisy and Poppy love to be rubbed. 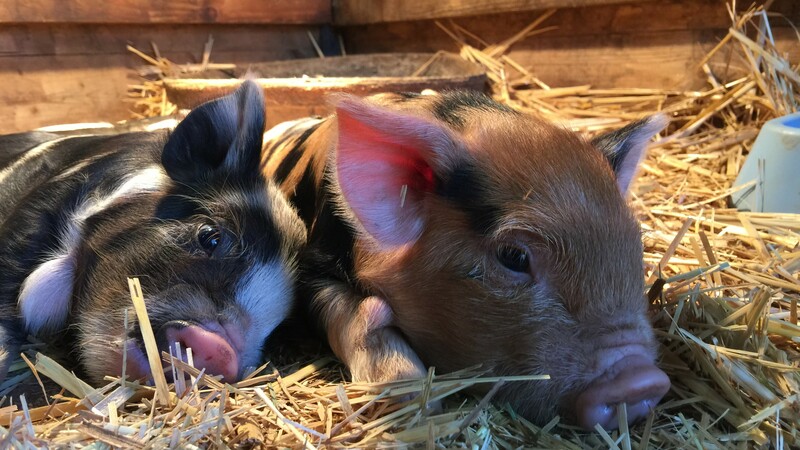 In this video they came into the barn hoping for scratches–and look a little bummed that Scott couldn’t stay longer.